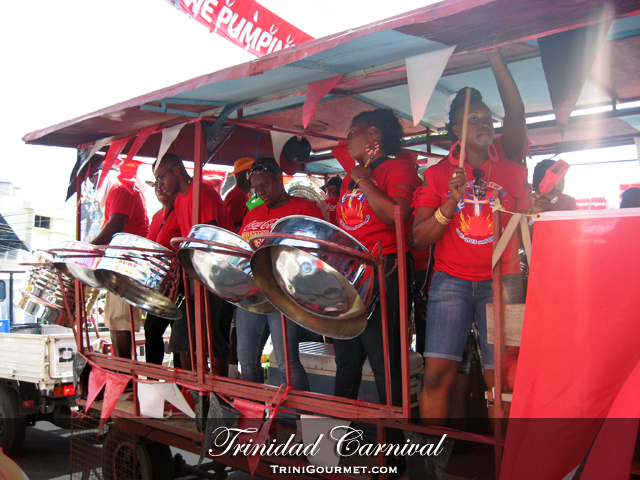 The steel pan (not drum) was invented in Trinidad and is the only acoustic musical invention of the 20th century. It should then come as no surprise that it is our national instrument and one that we hold dear! Between 1838 and 1883, the beating of skin drums was an integral part of Carnival celebrations. When a ban on all drum-beating was imposed in 1884, Carnival celebrants had to look for an alternative to the skin drum. They turned to bamboo after they discovered that dried bamboo of various diameters produced different sounds, when cut to differing lengths and struck with wooden sticks. Bands that used bamboo to produce music were called Tamboo Bamboo bands and the first report of such a band taking part in Carnival was in 1891. With the passage of time, Tamboo Bamboo bands were integrated into Carnival and flourished until the 1930s. With an innate sense of rhythm and a burning desire to express this feeling by beating on something other than bamboo and skin drums during Carnival, some poor, Black, skillful Trinidadians turned to metal containers for music in the 1930s. Although there are varying opinions as to when the first sound from beating on metal cans was heard, there is strong evidence that such a sound occurred in 1935 when the Gonzales (Port-of-Spain) Tamboo Bamboo Band hit the road during Carnival with a bass can. As word of this innovation spread, aspiring metal can players all over Trinidad began crafting the bottoms of any metal containers (pans) that they could put their hands on, by pounding and partitioning the flat ends with hammers and steel punches to create different sounds. This art would later come to be known as tuning and the players were called panmen. By 1937, paint cans and cookie tin-cans were being played alongside Tamboo Bamboo bands during Carnival. In 1938, Victor “Toti” Wilson of the Calvary Tamboo Bamboo Band played a paint pan that had four notes tuned to the chimes of the clock at Queen’s Royal College. By 1939, bands comprised of pans only began to form and were called steelbands. 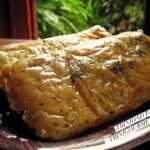 They initially took on names from popular American movies and the first two steelbands in the history of Trinidad were Alexander’s Ragtime Band and Hellyard. In 1940, calypso music and the steelband began their long marriage when the Roaring Lion composed a calypso specifically for Alexander’s Ragtime Band. Just like an orchestra, these different types of pans combine to form ‘bands’. 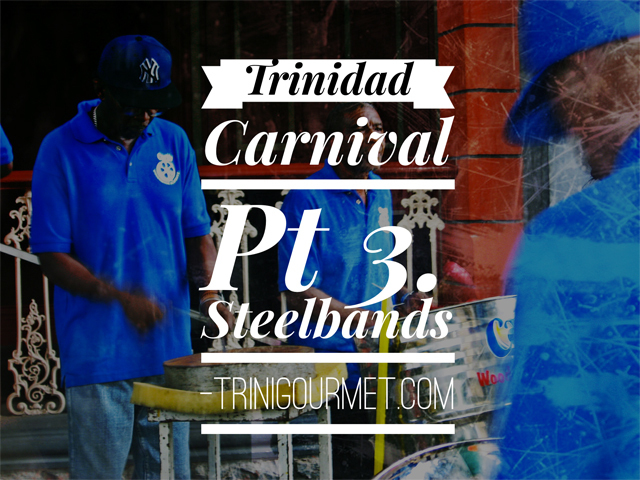 Steelbands. 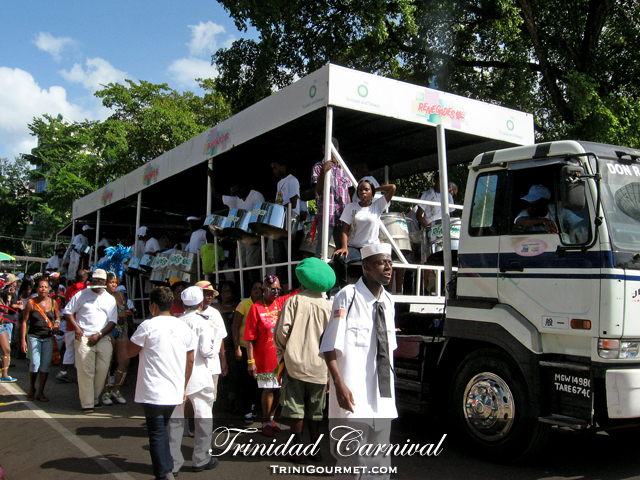 Once a year the various steelbands (often with corporate sponsors) compete at Carnival time in a festival called Panorama. One of the things that never fails to amaze me is the sheer passion and dedication of the panplayers who volunteer countless hours, memorizing 20 to 30 minute arrangements without the aid of sheet music, formal training (for the most part) or the visual metronome of a conductor. BP Renegades on the streets of the Queen’s Park Savannah, Carnival Tuesday 2014. 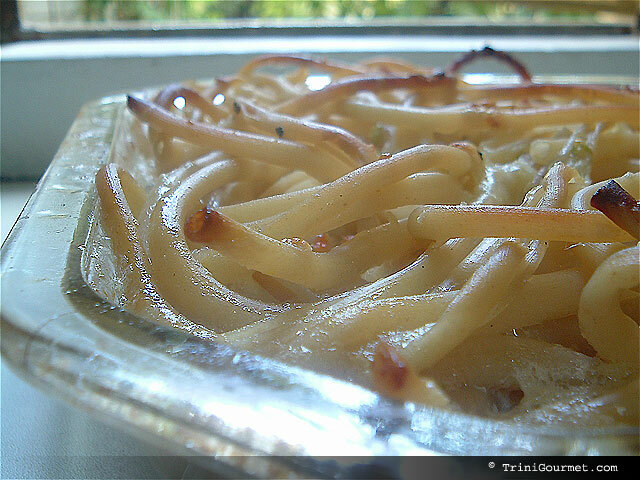 Macaroni Pie, a Trinidad Creole favorite, is one of the most sought after search terms on TriniGourmet.